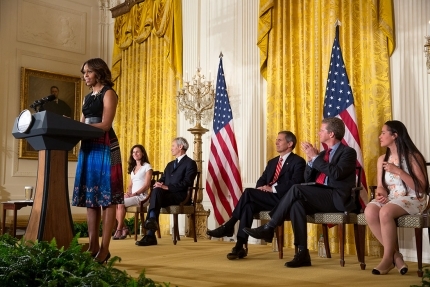 In early June, First Lady Michelle Obama announced the official launch of the Mayors Challenge to End Veteran Homelessness as part of the Joining Forces Initiative. In 2010, the Obama administration pledged to work toward the goal of ending veteran homelessness by the end of 2015. To reach this goal, departments of Housing and Urban Development (HUD) and Veteran’s Affairs (VA) and the United States Interagency Council on Homelessness (USICH) began the Mayors Challenge as a Call to Action for mayors to pledge to end veteran homelessness in their cities. To date, over 75 mayors, a few governors and other local leaders have joined the effort. The federal government seeks to increase resources as well as implement and strengthen programs for homeless individuals to assist mayors in achieving the goal of ending veteran homelessness in their cities by 2015. 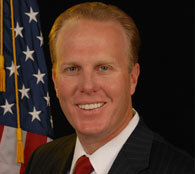 City of San Diego Mayor Kevin Faulconer is a participant in the Mayors Challenge. Mayor Faulconer’s Transition Advisory Committee Recommendations Report emphasizes active support in local efforts to end veteran homelessness. Recommendations include continued involvement in the San Diego 25 Cities Initiative and providing the City of San Diego Police Department’s Homeless Outreach Team (HOT) with the necessary tools to help connect individuals with permanent supportive housing.